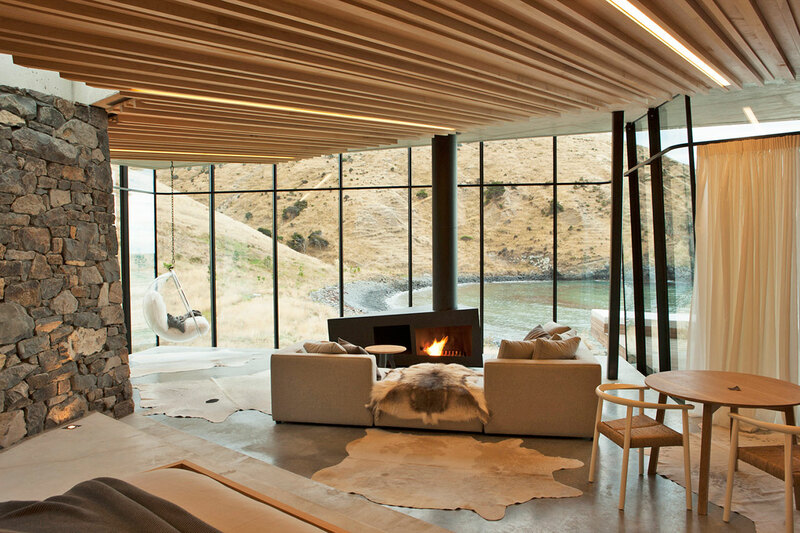 Seascape Retreat by award winning, Auckland-based Pattersons Associates Architects can only be described as heaven on earth. 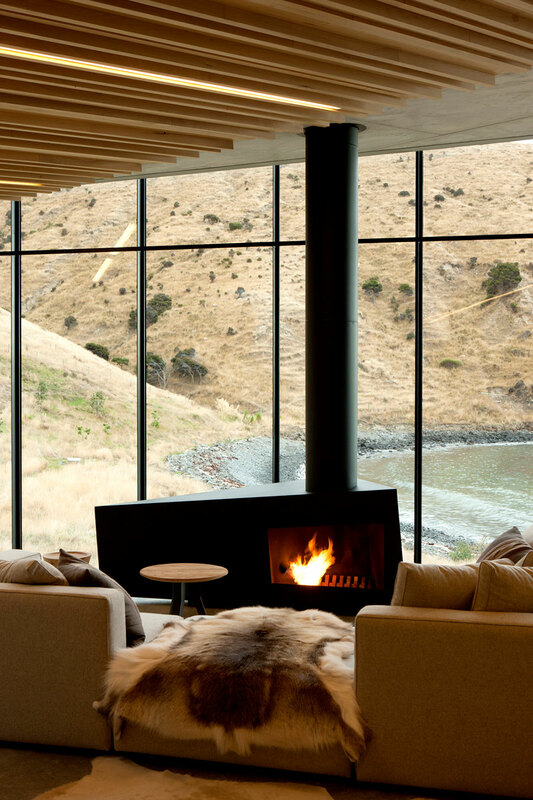 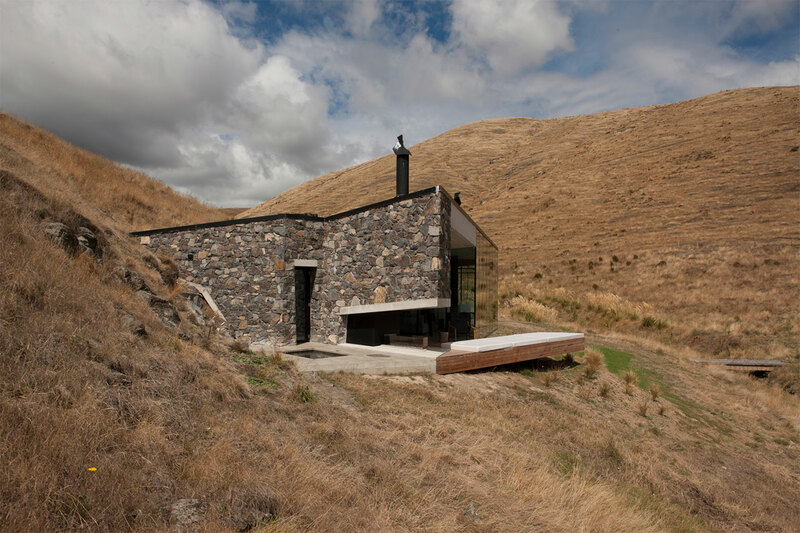 Located on the Banks Peninsula in the majestic volcanic landscape of New Zealand’s South Island, this modern cottage retreat is set within a rock escarpment in a remote private bay, and is accessible by helicopter or by 4-wheel-drive vehicle across the cliff-top farm tracks. 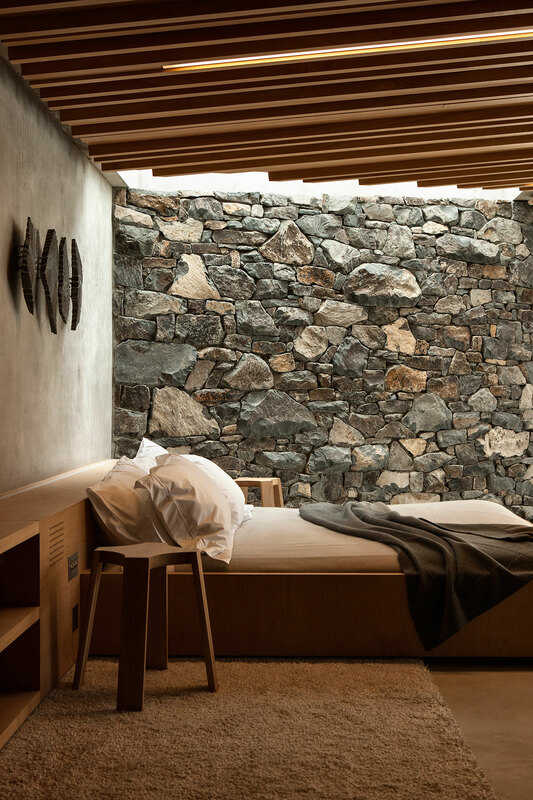 Initially designed in 2011 as a honeymoon destination, Seascape Retreat is a luxury getaway, not only for lovers but also for those who yearn for style, seclusion and awe-inspiring views. 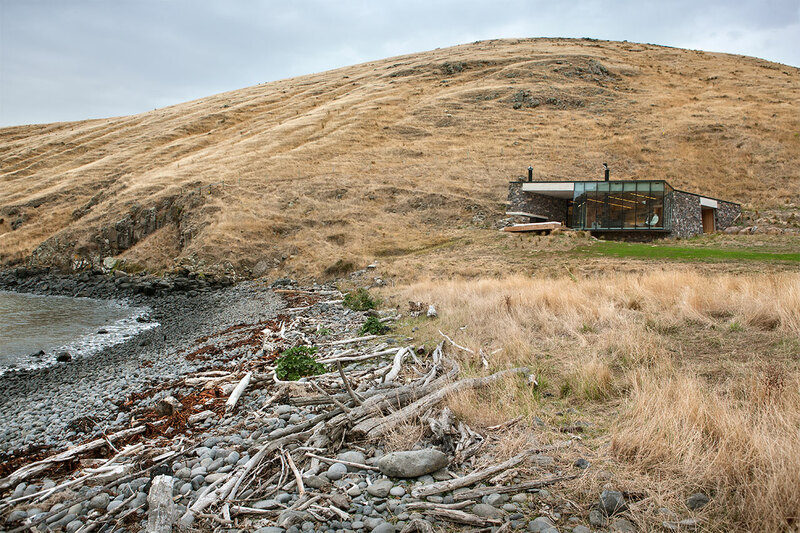 Constructed with only locally-sourced materials such as volcanic rock from a nearby quarry, macrocarpa timber, concrete floors and an earth-tufted roof, the structure is integrated into the escarpment above to protect occupants from falling debris and appears like a rocky outcrop camouflaging itself within the landscape. 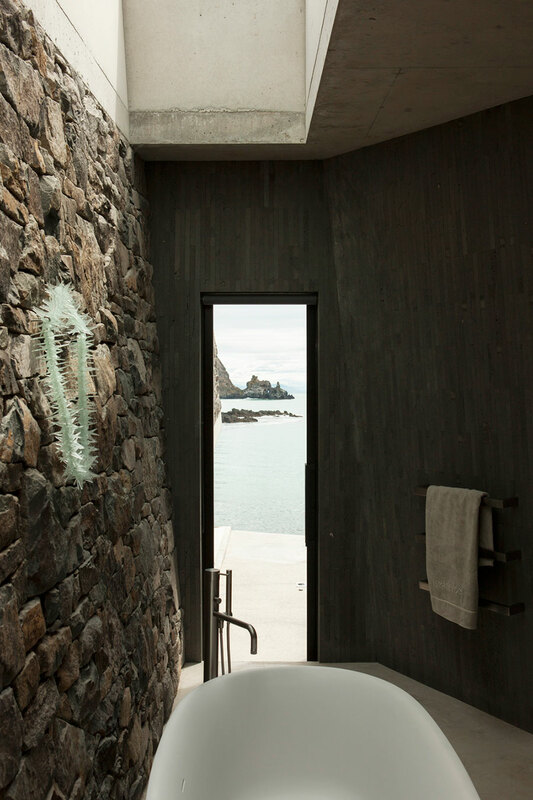 The plan uses an interlocking geometry responding to both nearby views of the Bay and far reaching views out to Rocky Spires: consisting of only three rooms, a lobby a sleeping/living and bathroom, the open plan space is dominated by the spectacular view. 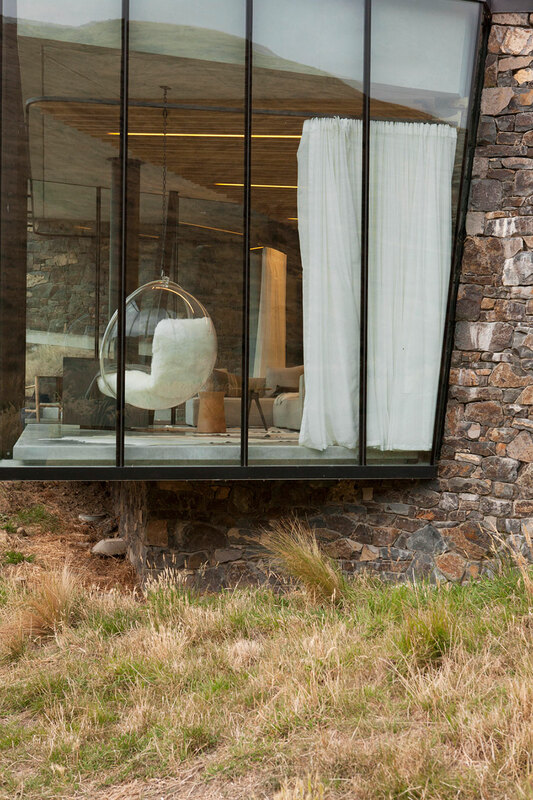 The drama and magic of the rock walls are complemented and softened by a selection of contemporary, natural and neutral soft furnishings, textiles and animal hides strewn across the seamless and heated concrete floors. 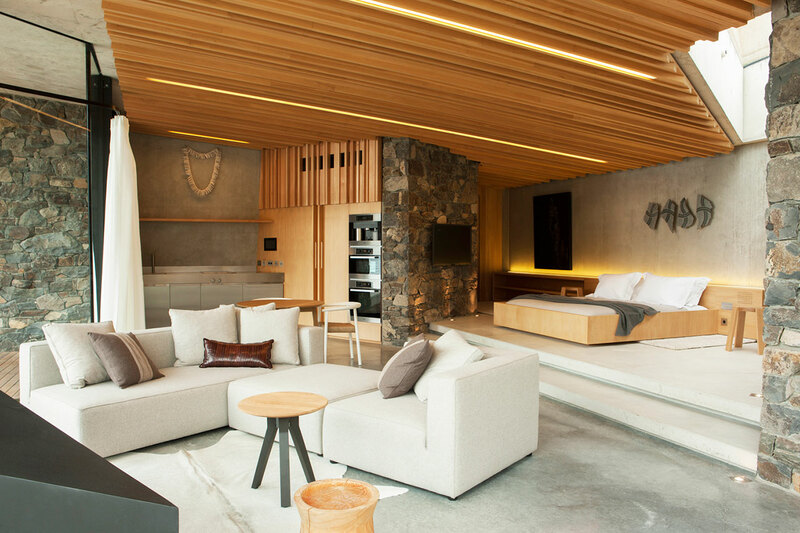 The local macrocarpa timber ceiling lining, wall panelling and custom joinery add warmth and texture to the space. 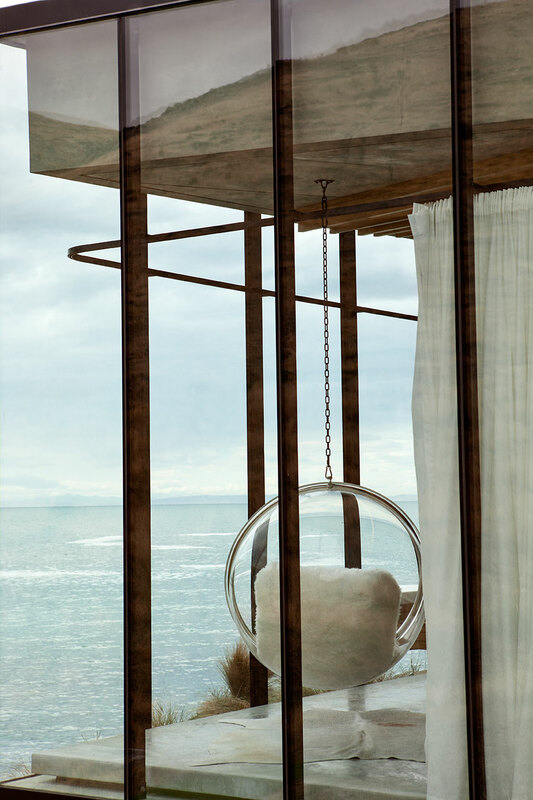 In the living area, a mammoth king-size bed with integrated bed head joinery is raised onto a platform, outlining the bedroom zone, while the low-level black steel fireplace and suspended ‘classic’ clear Eero Aarnio Bubble chair allow for an unimpeded spectacular view of the rocky beach. 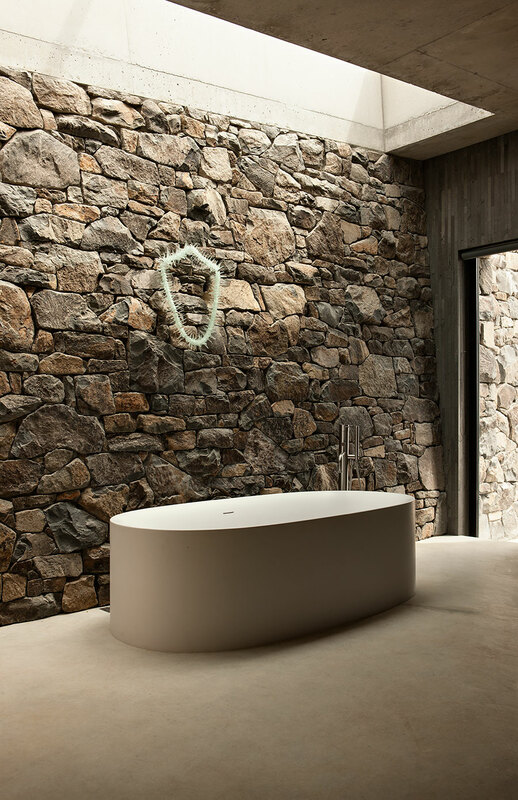 A seductive freestanding bathtub in the modern, cave-like bathroom sits below a heavenly skylight, showering bathing guests in natural light, whilst they absorb the view to the rocky outcrops. 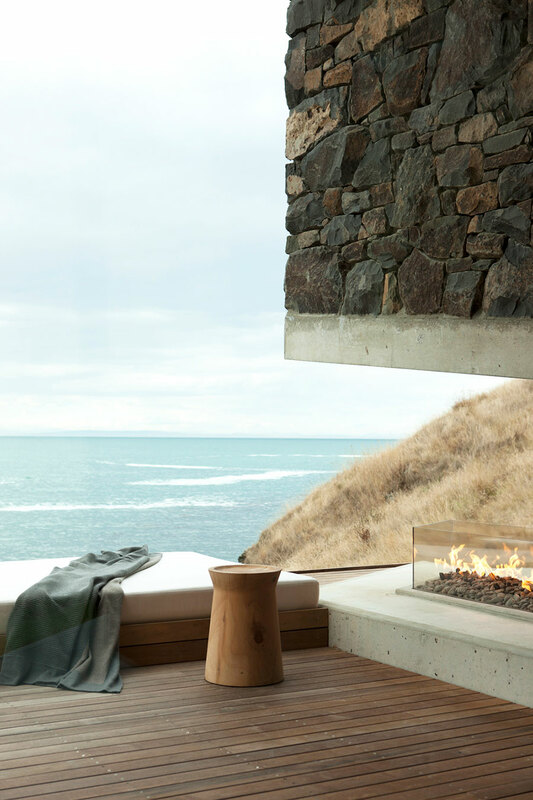 The outdoor deck with built in lounge and fireplace as well as the outdoor spa provide the ultimate in luxury and make this an all-season getaway. 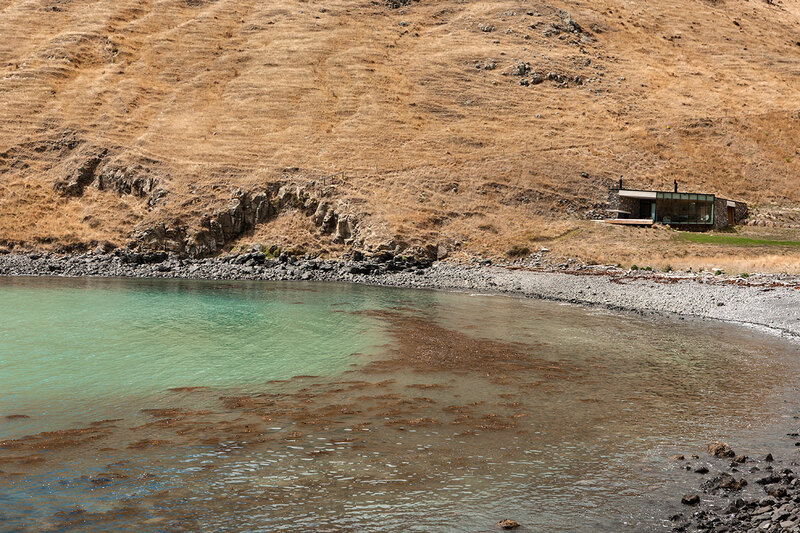 Overall, the feeling is one of floating on water as the seclusion and vast body of water provides awe-inspiring views of nature in all its glory… including the sight of dolphins and seals as they frolic in the beautiful azure waters of this South Pacific Cove.